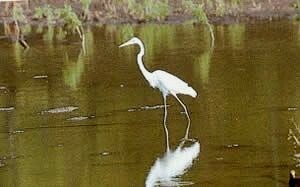 The Pacific Coast of Costa Rica offers four distinct eco-systems: The last dry forests on the Pacific Coast are in Guanacaste Province and on the Nicoya Peninsula; Tamarindo National Park boasts one of the last mangrove forests in existence in Central America. Playa Grande National Park is in this general area, and it is here that the giant sea turtles come seasonally to nest and lay their eggs (see below for a nesting schedule). 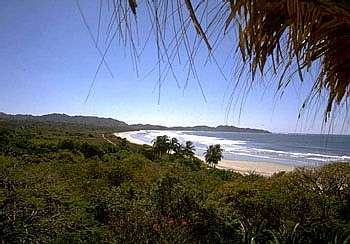 The Nicoya Peninsula is best known for vast stretches of unspoiled, white sandy beaches and hillside hotels. 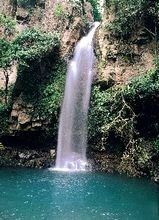 Guanacaste National Park was created in 1989 to connect Santa Rosa National Park with the high elevation cloud forest of Orosi and Cacao volcanoes and across the continental divide to the Caribbean rainforest of Northern Costa Rica. The hope is that together these two parks protect enough land to ensure sufficiently large habitats for wide-ranging species such as jaguars and mountain lions, while simultaneously creating a biological corridor for birds and insects to make local seasonal migrations between the dry forest and the evergreen cloud and rain forests. 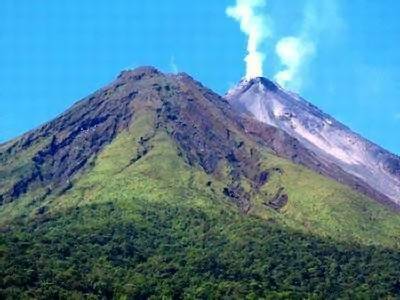 This is one of the hotter, drier areas of Costa Rica, and the whole Guanacaste region has more predictable seasons than the rest of Costa Rica. The chance of rain is much less during the dry season from December to April. Although it is fairly likely that it will rain on any given day during the rainy season (AKA the green season), it is also fairly likely that it will be a short shower in mid-afternoon. 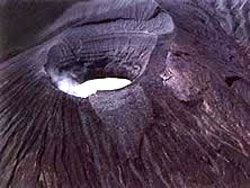 The rainy season, which lasts from May until November, is also usually interrupted by a two or three week dry spell in late July or August called the Veranillo de San Juan (Saint Joseph's little summer). 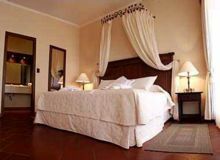 Our selected hotels range from the northern beaches of the Gulf of Papagayo, south to the beaches around the popular town of Tamarindo, with its famous white crescent beach by the same name. 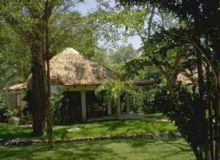 Most of the hotels around Papagayo are hillside hotels, which the hotels around Tamarindo are beach level hotels. Most hotels, however, are set 500-1500 feet back from the beach. 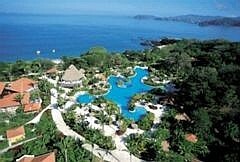 Only the Tamarindo Diria Hotel is a beach front hotel. Jardin del Eden Hotel is a haven of personalized service and casual atmosphere offering astounding views of Tamarindo Beach and the Pacific Ocean. 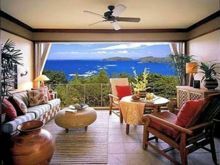 The property features 20 uniquely decorated, ocean view rooms with balcony or terrace, and two apartments in five Mediterranean-style villas, all situated around a lush tropical garden. 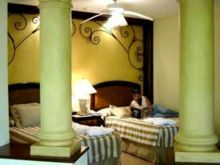 The hotel also offers an exclusive restaurant, 'El Jardin del Eden,' famous for its fine Mediterranean-inspired cuisine, plus a bar, two swimming pools, and Jacuzzi. 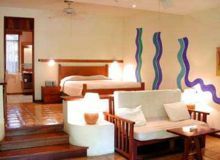 Tamarindo Diria Beach Hotel offers 113 finely decorated rooms, 14 condos and two spectacular pools  one of them is the biggest in Tamarindo Beach and considered one of Costa Rica's best  all surrounded by exuberant tropical gardens in front of the ocean. Amenities include an ocean-front restaurant offering local and international cuisine, swim-up bar, three 18-hole golf courses nearby, tennis court, and Jacuzzi. 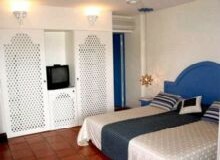 All rooms are air-conditioned with satellite TV. In addition, there is laundry service available. El Ocotal Beach Resort Hotel is a small hideaway perched on a cliff with astounding views of the Pacific Ocean. The hotel features 71 rooms, bungalows, and suites. 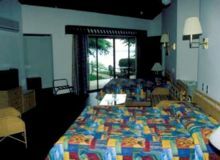 The resort also offers three swimming pools, Jacuzzi, a complete dive shop, restaurant, bar, room service, internet access, gym, and tennis court. The lobby and restaurant, sitting atop a knoll surrounded by water on three sides, is regarded as one of Costa Rica's most picturesque spots. 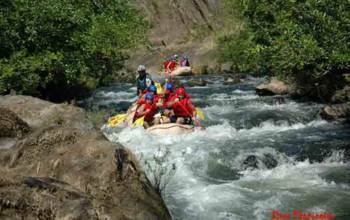 Ocotal's bilingual staff is eager to show their friendly Costa Rican hospitality. 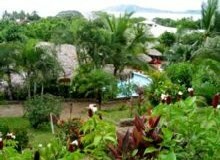 Capitan Suizo is a small, charming hotel situated on Tamarindo Beach and surrounded by large, native trees and lush, colorful grounds. 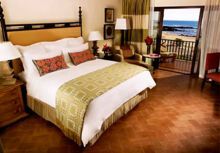 It features eight thatched-roof bungalows and 22 rooms, all with terrace or balcony, and ocean views. The hotel also offers an exotic free-form swimming pool, an open-air international restaurant with a Swiss accent, and bar. 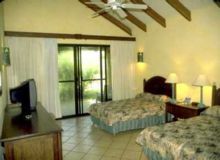 Bungalows and rooms feature a mezzanine bedroom with king-size bed, and sliding doors that open to a tropical garden. 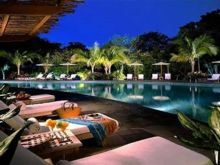 Four Seasons introduces Costa Rica's finest luxury resort at Peninsula Papagayo. Spilling down a lush mountainside to an isthmus of golden sand, Four Seasons combines exemplary luxury and service in a pristine setting. Enjoy an Arnold Palmer-designed golf course, tennis, three swimming pools, a tropically serene spa and fitness center. All spacious guest rooms at Four Seasons Resort feature furnished balconies or terraces to maximize the beauty of the outdoors. 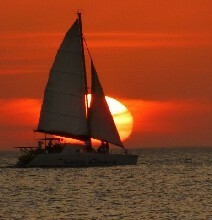 JW Marriott Guanacaste Resort & Spa offers the ultimate sumptuous Costa Rica vacation. 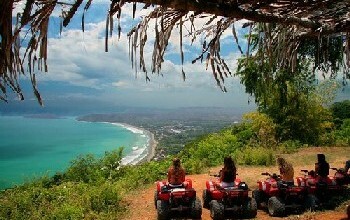 This beautiful resort is situated on a secluded beach in a prime location within Costa Rica's renowned central coast. The hotel features a free-flowing pool that covers more than 25,000 square feet, and a full-service spa with 23 treatment rooms and a state-of-the-art two-level gym. An 18-hole championship golf course is next door to the hotel and features a challenging experience with breathtaking views of flourishing landscapes and the Pacific Ocean. 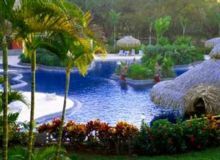 All-inclusive Hilton Papagayo Costa Rica Resort & Spa is located on a secluded bay on the Pacific Ocean at the Gulf of Papagayo, Guanacaste. 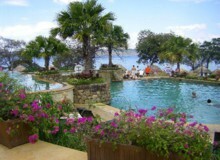 The beautiful grounds feature luscious gardens surrounded by shimmering seas, giving a wonderful tropical feel. 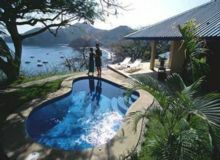 Should you so desire, plunge into your choice of outdoor infinity pools with three separate levels for kids and adults, or sip a cocktail from the poolside bar, or revive your tired muscles with a massage at the Costa Rica Spa Vida with 13 treatment rooms, whirlpool and sauna. All in all, Hilton Papagayo is the perfect home base for your Costa Rican vacation. 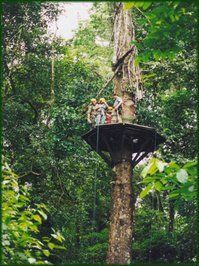 Enjoy every indulgence of a luxury all-inclusive vacation while experiencing the breathtaking natural beauty of Costa Rica's Northern Pacific Coast, where lush tropical forests and volcanic cliffs descend into sand beaches and crystalline coves. Couples, families, and friends will experience premium service, discover gourmet dining, and choose from a gamut of activities and sports at the Grand Papagayo. 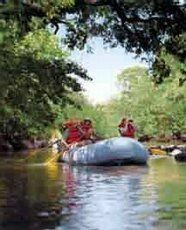 The resort's unique setting and luxury amenities make it a perfect location for an unforgettable wedding or honeymoon. 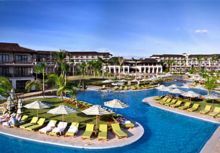 The luxurious Westin Playa Conchal Beach and Golf Resort is located on the shores of the Pacific Ocean, surrounded by a magnificent tropical dry forest, just steps from the glittering white sands of the Melia Playa Conchal Beach. 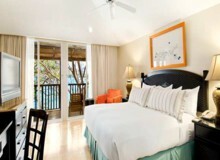 The hotel offers 308 deluxe bungalow suites and two master suites. 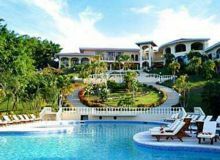 There are five restaurants, a fantastic free-form swimming pool with swim-up bar, four lighted tennis courts, an 18-hole Robert Trent Jones-designed golf course, health club, spa, beauty parlor, casino, disco, and business center. Needless to say, it makes the perfect romantic honeymoon hideaway. All tours require a minimum of two participants. Child rates apply to children 6-10 years of age. Many tours do not permit children under 6.